Home » Information for Families » U Can Shine! 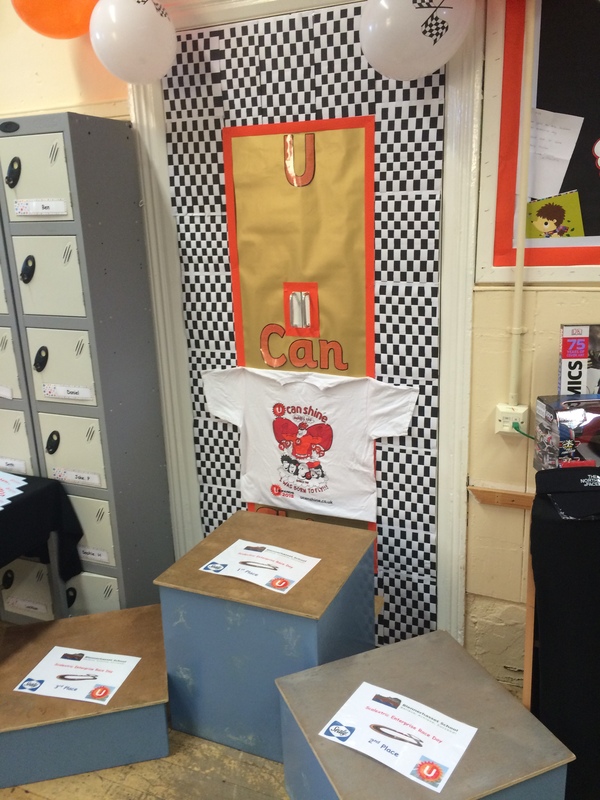 U Can Shine is a motivational programme that links in with our PSHE curriculum. 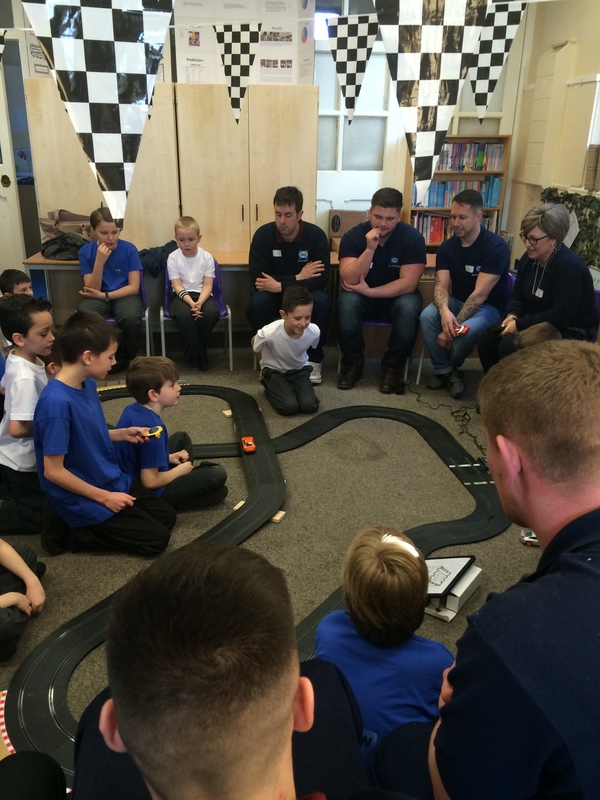 The children learn key skills and attributes and work towards personal and shared goals that demonstrate their abilities in the following areas; Resilience, Attitude, Confidence, Team, Communication and Respect. At the end of the year we attend the U Can Shine Awards where as well as being nominated for an award, we perform on stage at The Sands Centre in Carlisle. It is an exciting and rewarding way to celebrate the personal development and achievements of our children. 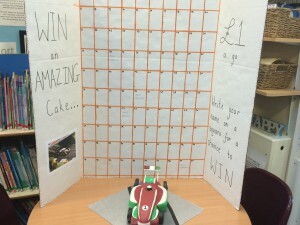 Mrs Hunt made this amazing racing car cake for us. 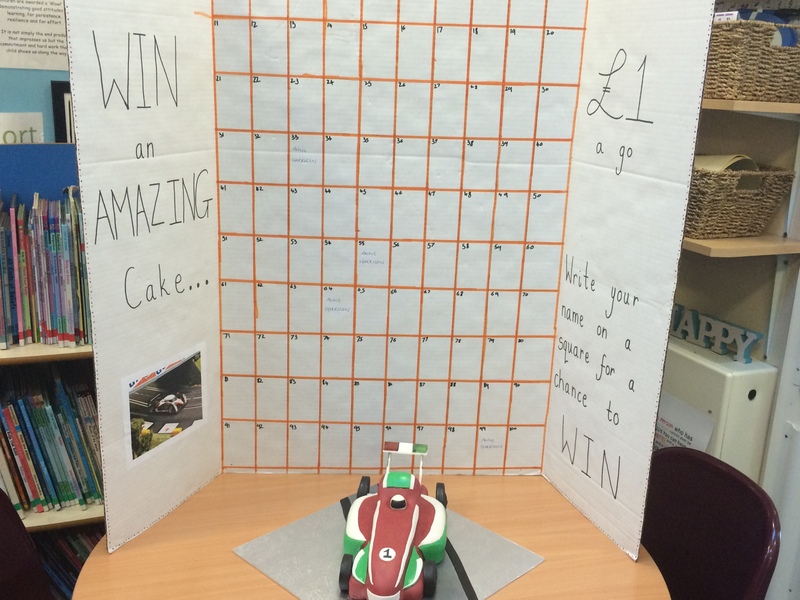 We sold squares for £1 each and the winning square won the cake! Well done to Harvey and Jack’s Grandma – we hope you enjoyed it! 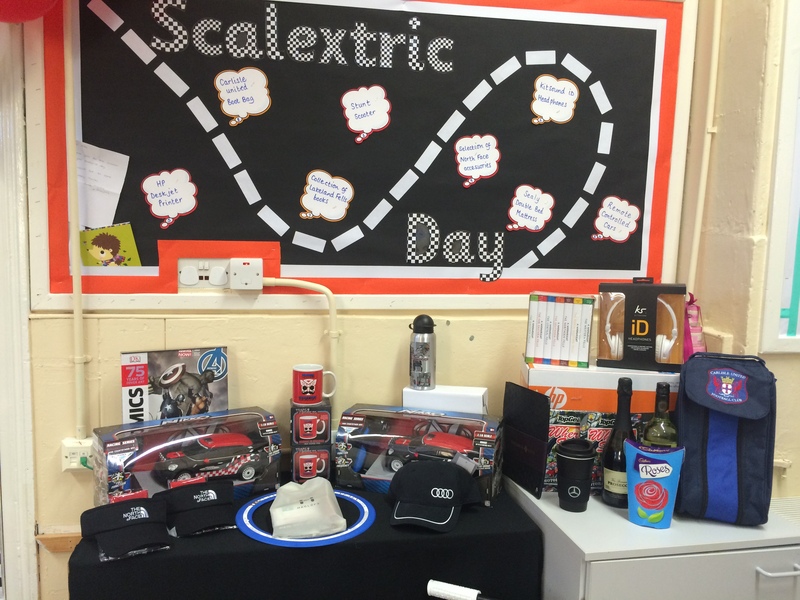 These were our amazing raffle prizes! 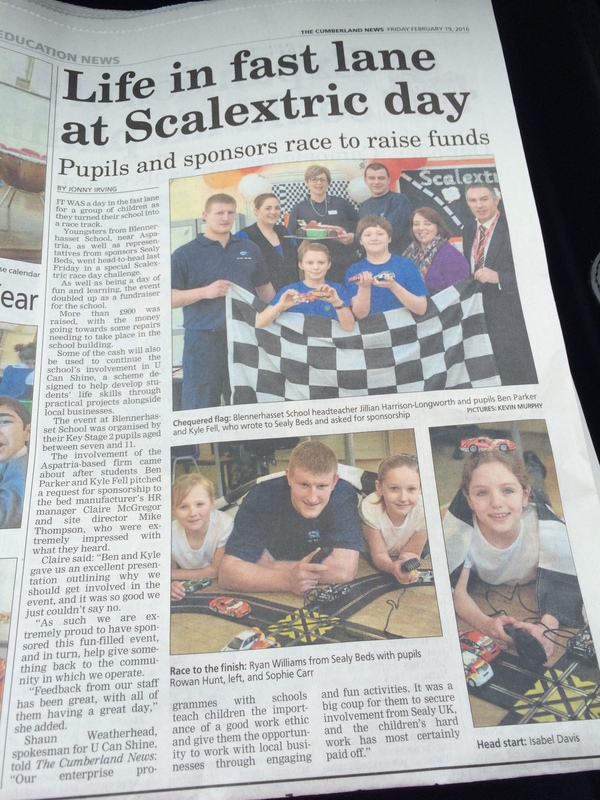 Our event sponsors Sealy UK even donated a double bed mattress as a prize! Well done to the Hetheringtons – what a win! This was our podium/winner’s area! These are some of our friends from Sealy Uk who came to race on the day as well as Dom from Blaithwaite House who was one of our track sponsors. Stolle Europe and Jim Peet Agriculture were also track sponsors but couldn’t make it on the day. We are extremely grateful to all of our sponsors – Thank You! 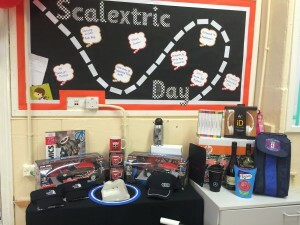 Our Scalextric Enterprise Day raised a massive £944.50 thanks to the hard work and efforts of the children, staff and whole school community. The Student leadership Team will help to decide what to spend the money on. 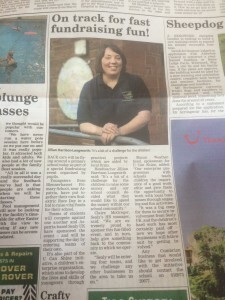 We were even in The Cumberland News!